Tuck yourself in. 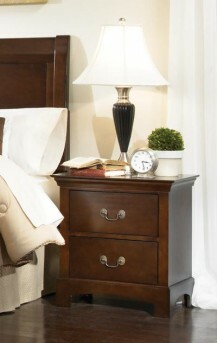 The Tatiana Night Stand emphasizes strong horizontal lines and geometric balance. 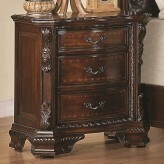 Pair with the matching case peices to complete the group or use it on its own for the extra storage space you need. 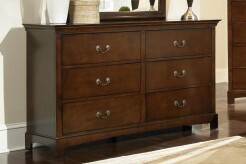 Constructed with solid wood and select veneers, dovetail drawers and decorative bronze color drawer pulls. 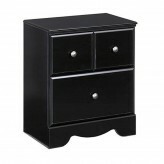 Furniture Nation is proud to offer the Tatiana Night Stand online. 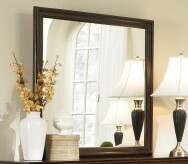 We serve customers across the DFW region including Fort Worth, Denton, Frisco and many more. L21.75" x D15.75" x H24"